The Galion 500U/T is excellent for over the highway aggregate hauling. Ideal for construction and batching work, and for hauling and spreading stone, sand, gravel and other aggregates. Galion 500U/T series bodies utilize high tensile steel throughout for best resistance to abrasion. Know the world over, Galion bodies provide the ultimate in dump body engineering, longer life and maximum performance. Available in 11' through 17' inside lengths, in 1' increments with an 84" inside width. 11' and 12' bodies available with 33" sides and 43" ends. 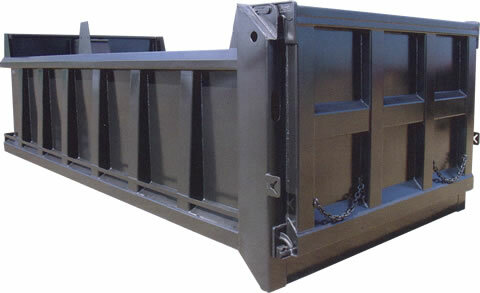 13' through 17' bodies available with 43" sides and 53" ends or 48" sides and 58" ends. 10 gauge high tensile steel with material shedding boxed top rails, full depth 15" rear corner post, vertical side braces, 10" front, center and rear board extension pockets and full length tarp rails. 8 gauge high tensile steel with 2" floor to side radius. 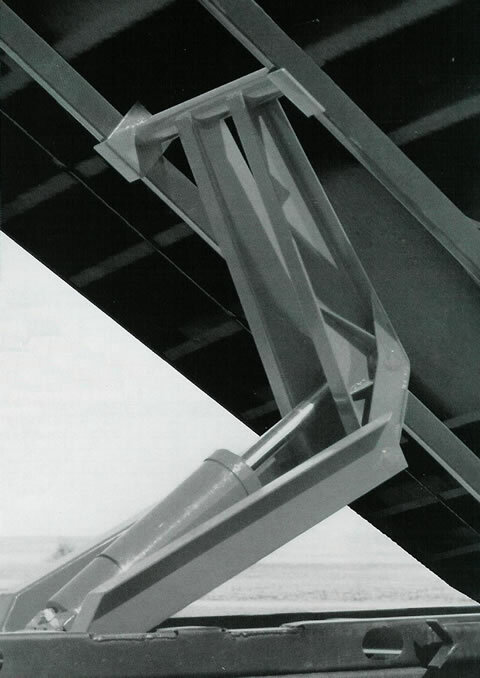 10 gauge high tensile steel construction with two bend top flange and two vertical structural angle reinforcements. 8 gauge high tensile steel, 6 panel design with full perimeter box bracing, two intermediate vertical braces and one intermediate horizontal brace and full width lower tailgate pin. Heavy-duty cast "tarp-friendly" top hardware and cast overshot lower hardware and manual release handle. Stacked design utilizing 7" structural longitudinals gusseted to 4" structural channel crossmembers on 12" centers, lubricated front and rear cross shafts and full width rear bolster. All Galion 500U/T bodies are shipped with a "body up" warning light and OSHA required back up alarm. Smooth side design with two horizontal "V" braces ILO vertical braces.